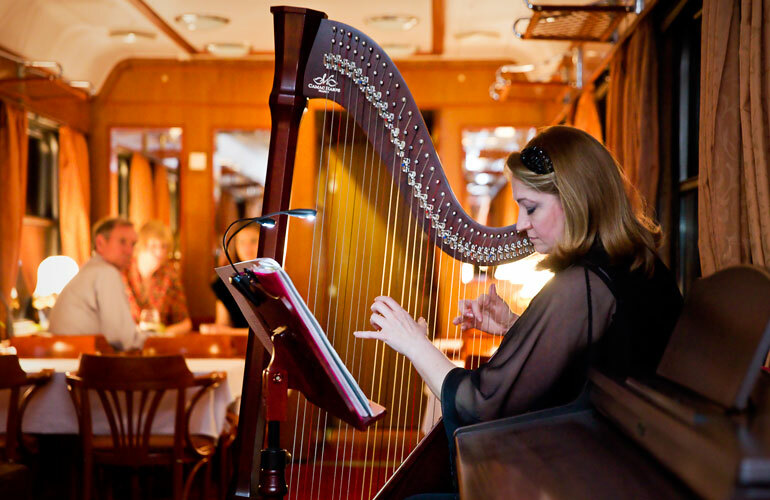 The Golden Eagle Danube Express is your luxurious hotel-on-wheels. 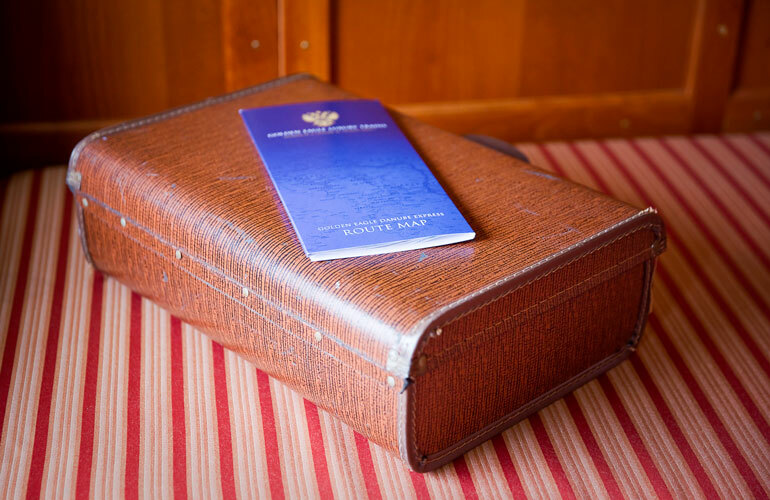 Unpack just the once and settle into your well-appointed and comfortable cabin as you begin this voyage of a lifetime. 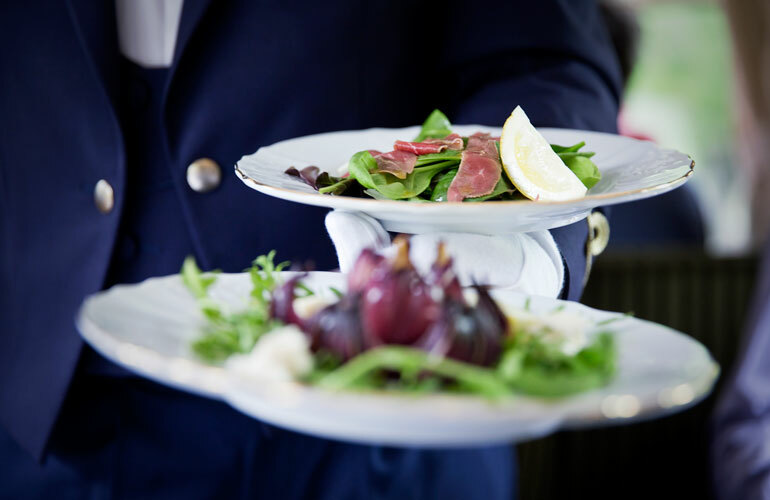 Your cabin attendant will be on hand to look after all of your needs. 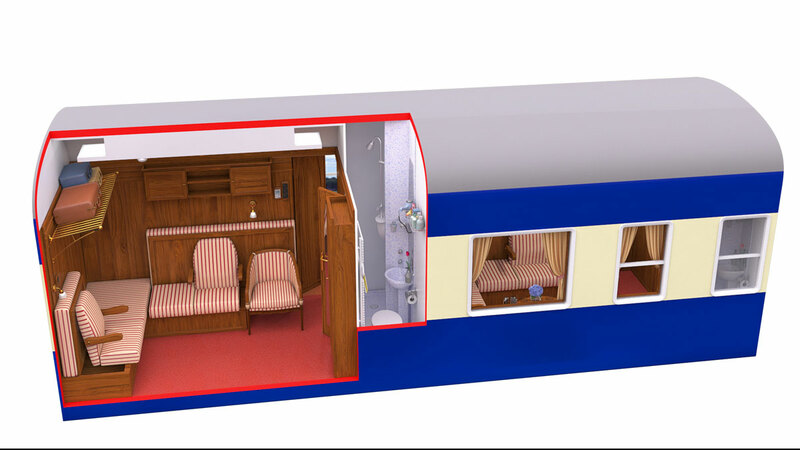 Our new Superior Deluxe cabins, with private en-suite facilities, offer the ultimate in European rail accommodation in terms of space, facilities and comfort. With 12 cabins per departure, each cabin offers comfortable daytime seating with a full length sofa and two additional chairs. The large cabin also benefits from two full-size picture windows, one of which is openable to add to the bright and airy feel of the interior. Each evening the cabin is transformed into a luxurious bedroom with a UK-standard King Size bed. 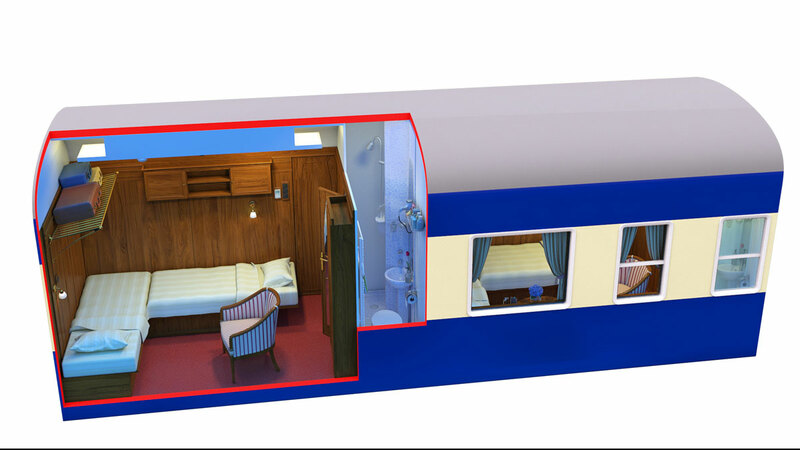 All cabins have, as standard, a large double wardrobe with excellent storage space, individually controlled air-conditioning, lighting with dimmer switches, individual reading lights, in cabin Wi-Fi and USB ports, power sockets and a safe. 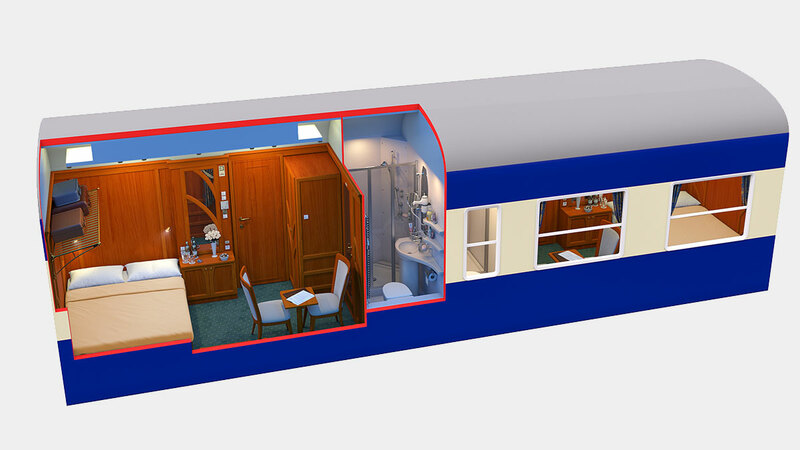 Travel in some of the finest rail accommodation available in Europe. 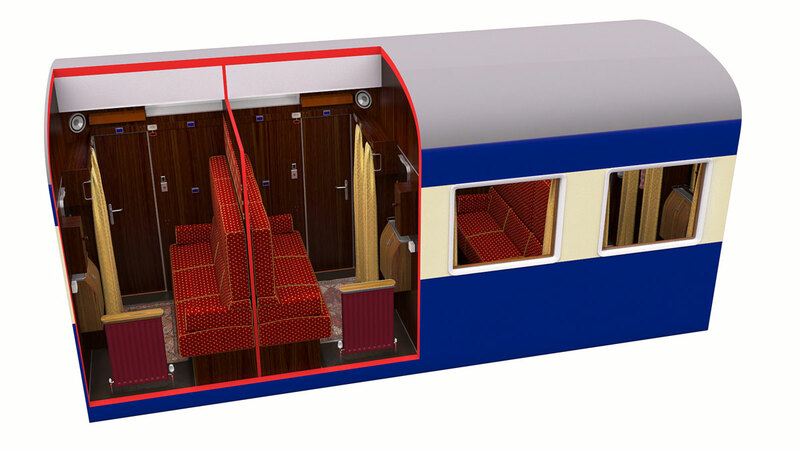 Each deluxe sleeper carriage has just five spacious yet intimate en-suite cabins offering every convenience and comfort so you may sit back, relax and enjoy the scenery as it rolls by. Private bathrooms feature a shower with constant hot water, washbasin and toilet. There is a heated towel rail, shaver socket and hairdryer. A range of toiletries and a dressing gown are provided. Cabins have individually controlled air-conditioning, lighting with dimmer switches, individual reading lights, power sockets and a safe. Co-ordinated fabrics complement wood-panelled walls and brass fittings. Two comfortable armchairs provide daytime seating and a free-standing chair adds flexibility. Cupboards and a full length wardrobe provide ample storage whilst the large picture window and full length mirror enhance the spacious feel. A second window will open for fresh air and for that perfect photo opportunity. During dinner each evening the living room is converted into two comfortable lower beds by your attendant who is also on hand to bring you early morning tea or coffee. 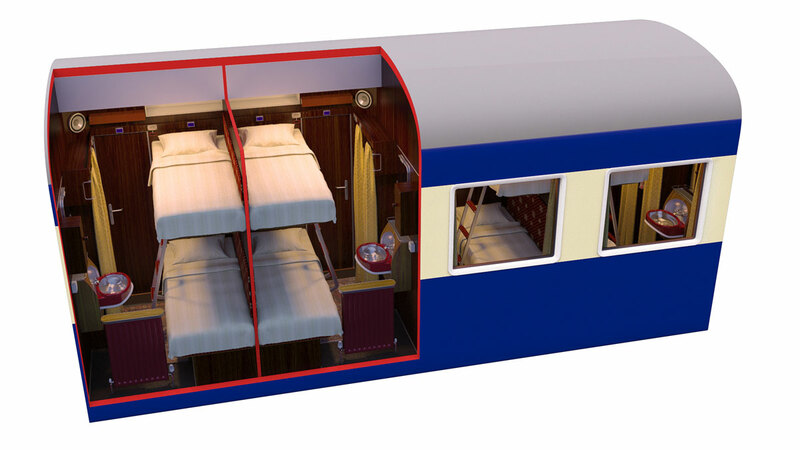 Each Heritage sleeper carriage has nine sleeping cabins with an upper and lower bed. 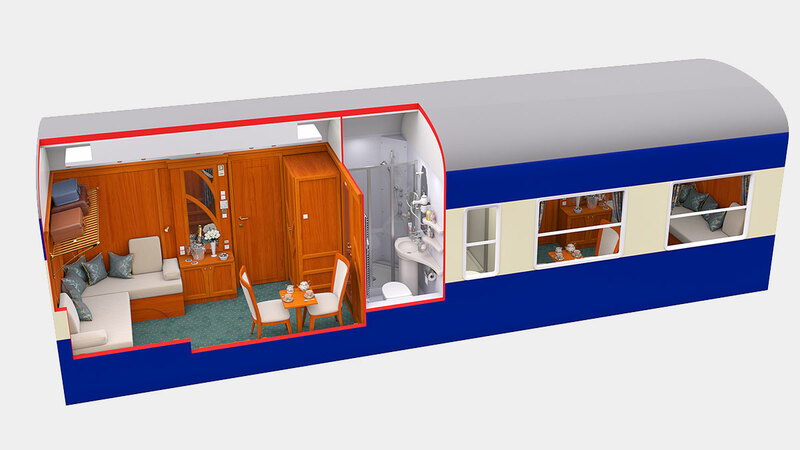 A shared toilet is available at one end of the carriage and a shared shower at the other end. Each cabin has wood-panelled walls, air-conditioning, power sockets and hanging space. A range of toiletries and a dressing gown are provided.